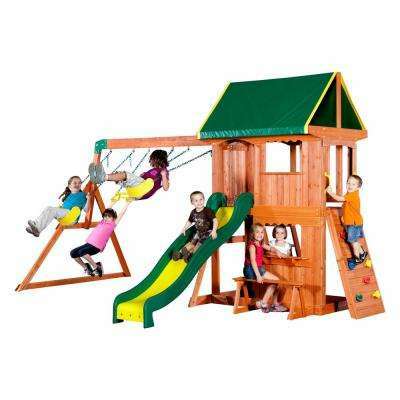 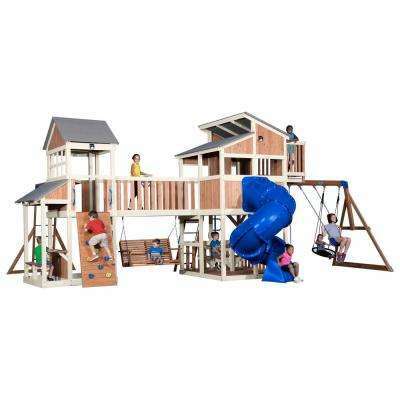 There's much more to outdoor playsets than just swingsets. 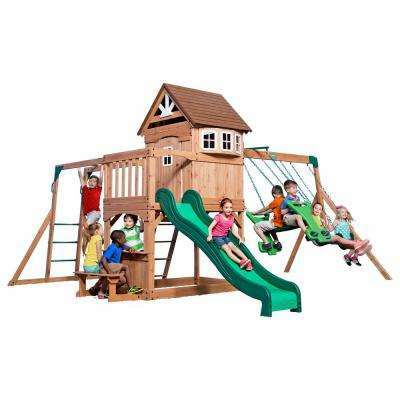 Today's backyard playground equipment offers options to keep children playing for hours and setups that work for all ages. 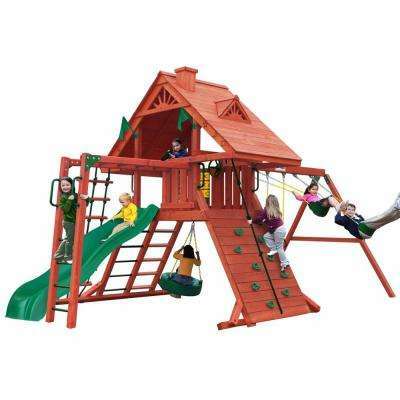 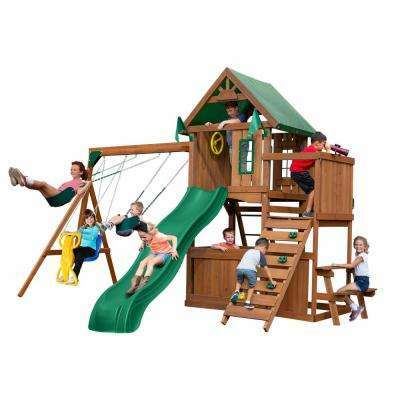 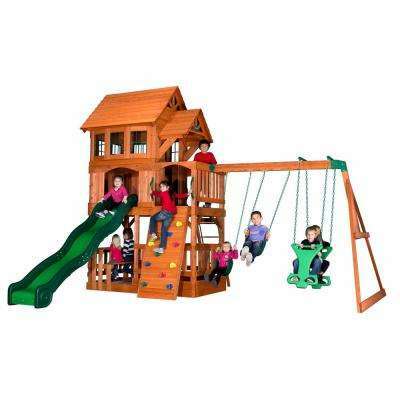 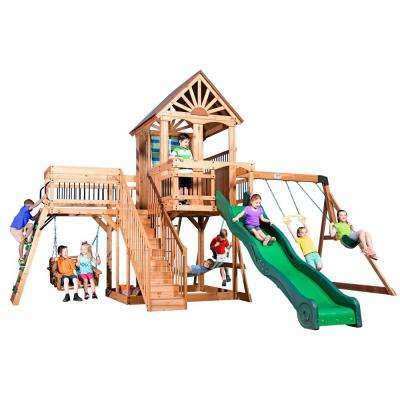 When shopping for backyard playsets, you’ll find a wide range of features and activities, from rock-climbing walls to tunnels to clubhouses. 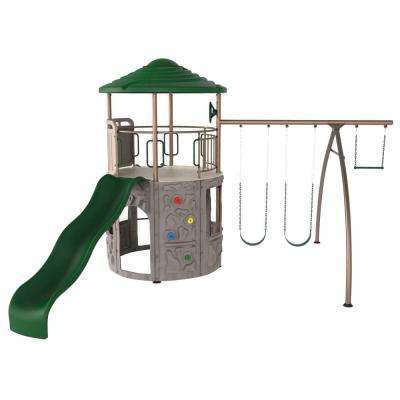 Choose a playground set that has appropriate equipment for your children, along with features they can grow into, such as monkey bars or a climbing rope. 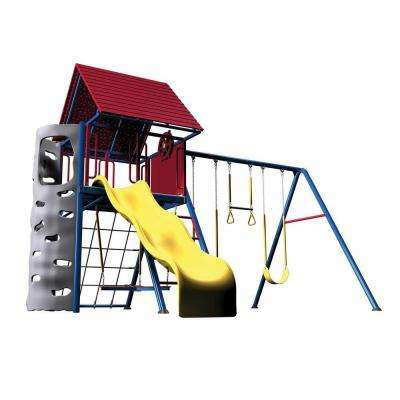 Think about how your children will use the area. Would they like a special space of their own? 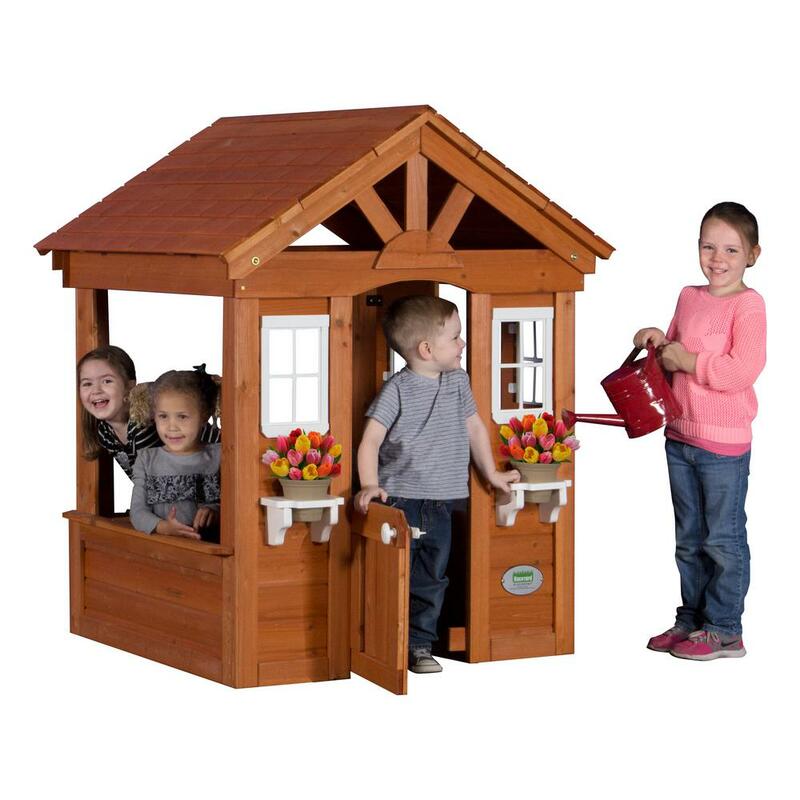 If so, consider a toy playset that includes a rooftop tent. 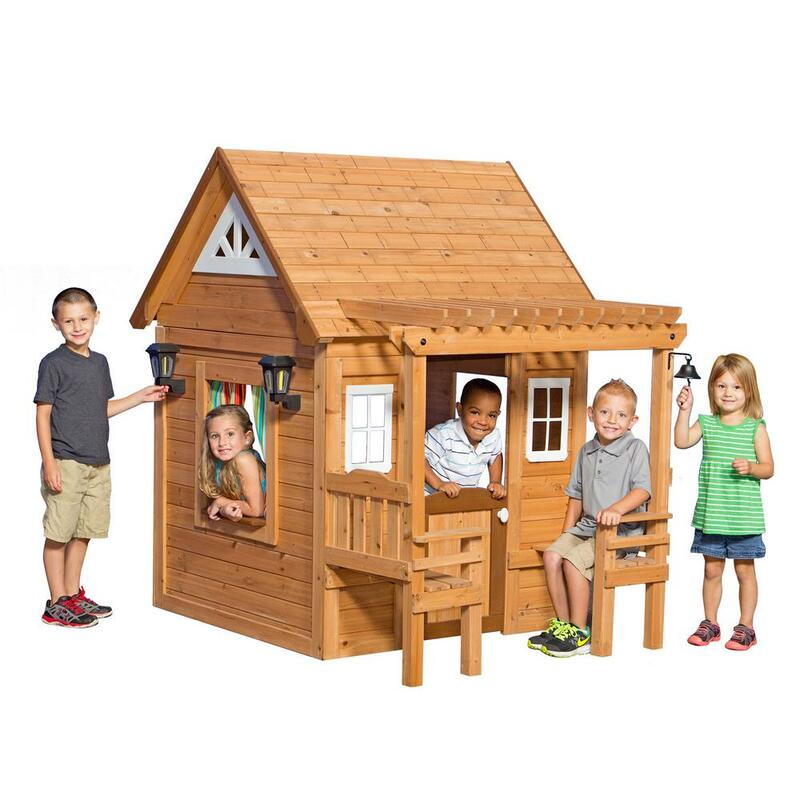 You can even find large playhouses that have working doors and windows. If adventure is the priority, there are swing sets and models that offer plenty of challenging fun. 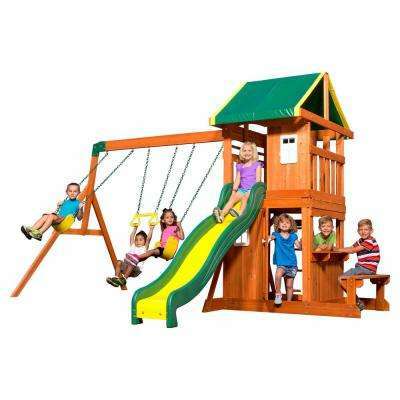 Look for accessories like tube slides, trapeze swings, lookout decks and gym rings. 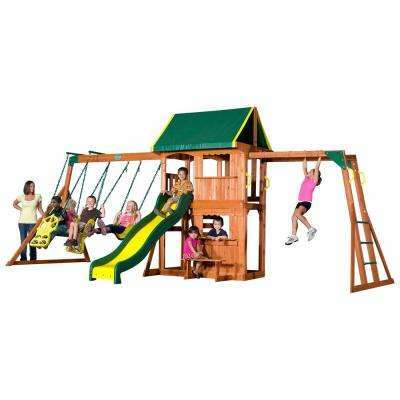 Home playground equipment comes in several different materials. 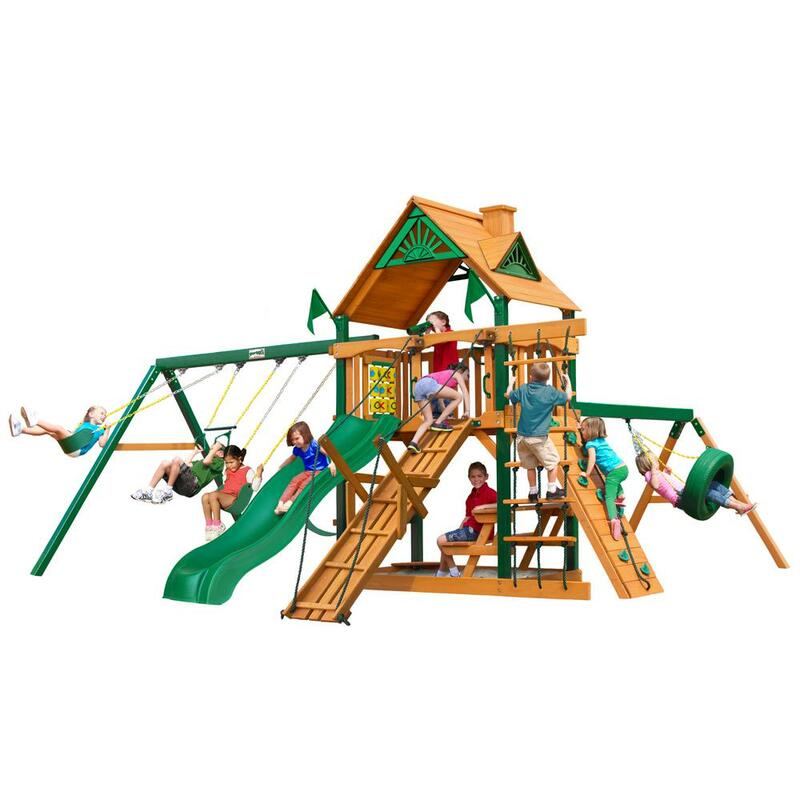 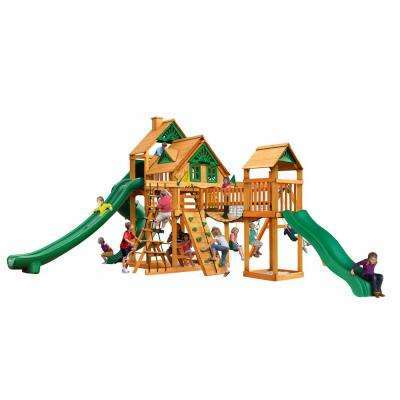 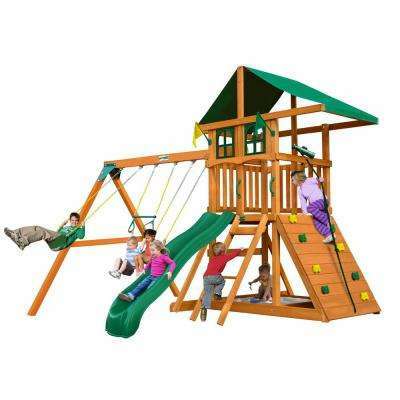 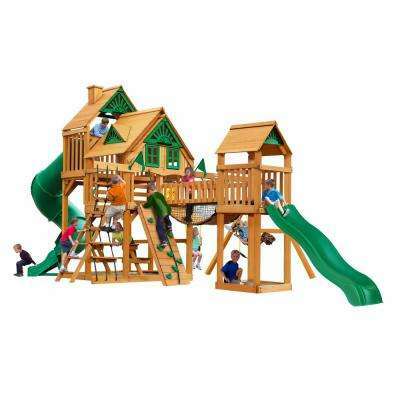 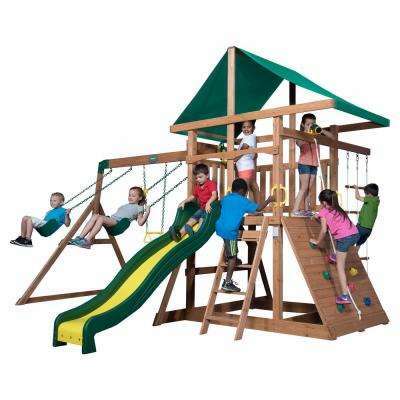 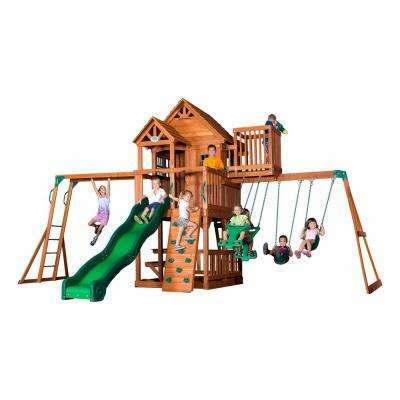 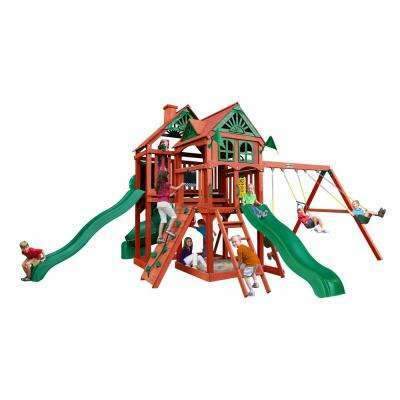 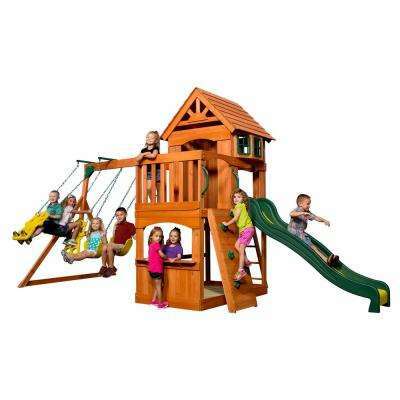 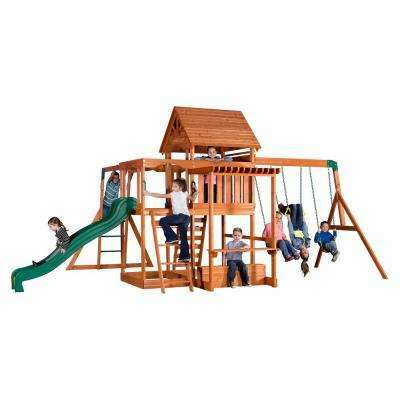 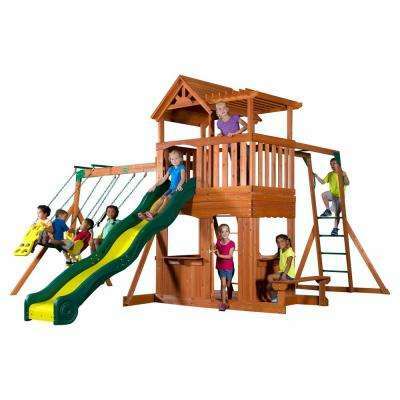 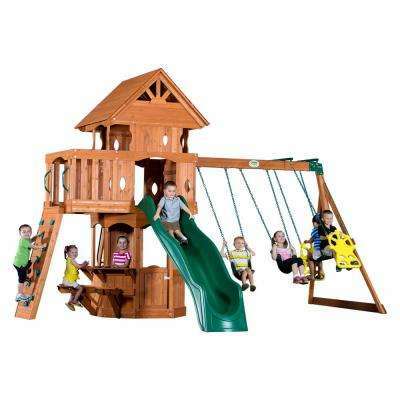 Gorilla playsets offer a rot-resistant cedar frame, while PlayStar offers wooden models that are built from playground-grade lumber. 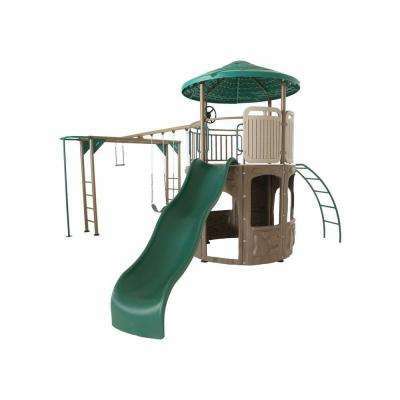 Choose a Lifetime playset if you’re looking for a combination of powder-coated steel and durable polyethylene. 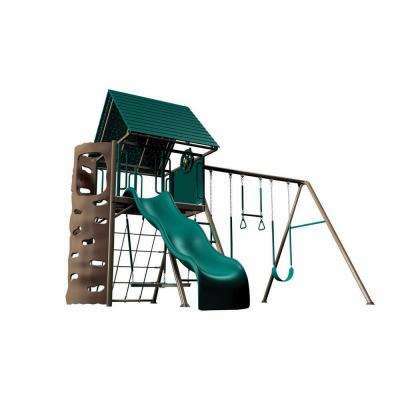 Complete your backyard playground by laying down some protective rubber mulch or synthetic turf for safety and consider building a sandbox with bench seats to top it all off.